THE case of this unfortunate young woman excited universal pity at the time of its occurrence. P.S.-This comes by William (the servant you have discarded on my account), who has orders to wait for your answer. Her request being refused, she persisted, by letters, to endeavour to induce Mr Errington to permit her once more to see him, but finding him inexorable she wrote to him that if nothing could induce him to do her an act of justice he must prepare himself for the fatal alternative, as she was determined that he should not long survive his infidelity. To this, as well as to the rest of her letters, Mr Errington preserved a strict silence, and, about a month after, Miss Broadric carried out her dreadful resolution. On Friday morning, the 15th of May, she dressed herself elegantly, and, going to the Three Nuns Inn, Whitechapel, she took her place in the Southend coach, which passed close to Mr Errington's seat. She descended at the avenue gate and went towards the house, but being seen by Mr Errington, he begged Mrs Errington to retire for a few minutes saying that his tormentor was coming, but that he would soon get rid of her. The latter, however, desired him to leave the interview to her management, and requested her husband to go into the drawing- room while she awaited the arrival of Miss Broadric in the parlour. In the meantime the latter had entered the house by the kitchen, and, having learned from the footman that Mr Errington was at home, she was proceeding upstairs, attended by the gardener, when she met Mrs Errington. She demanded to see Mr Errington, but was told that he was not to be seen. Saying, "I am not to be so satisfied; I know the ways of this house too well, and will search for him," she rushed upstairs into the drawing-room. She there found the object of her inquiry and, going up to him, she suddenly drew from her pocket a small brass-barrelled pistol, with a new hagged flint, and presenting it to his left side, in a direction towards his heart, exclaimed: "Errington, I am come to perform my dreadful promise." Then she immediately fired. Mrs Errington, who had followed her, fainted, but Miss Broadric, observing that Mr Errington did not fall, said she feared she had not dispatched him. Mr Errington demanded to know how he had deserved such treatment at her hands, but she made no answer; the servants, alarmed by the report of the pistol, then came into the room, when she threw the pistol on the carpet, and exclaimed, laughing: "Here, take me; hang me; do what you like with me; I do not care now." Mr Miller, a surgeon, soon after attended, and found that the ball had penetrated the lowest rib, had cut three ribs asunder, and then passed round the back and lodged under the shoulder bone, from whence every effort was made to extract it, but in vain. Mr Button, a magistrate, now came, who took the examination of Mr Errington after his wound was dressed. He asked Miss Broadric what could have induced her to commit such an act of extreme violence, and her answer was that she was determined that neither Mr Errington nor herself should long outlive her lost peace of mind. Mr Errington entreated the magistrate not to detain her in custody, but let her depart, as he was sure he should do well; but this request Miss Broadric refused to accept, and the magistrate to grant. Her commitment being made out, she was conveyed that evening to Chelmsford Jail, where she remained tolerably composed till she heard of Mr Errington's death, when she burst into a flood of tears, and lamented bitterly that she had been its cause. 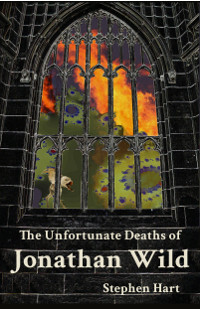 The coroner's inquest sat on the body on Tuesday, the 19th of May, and brought in their verdict, "Wilful murder, by the hands of Anne Broadric." Mr Errington was in the thirty-ninth year of his age. Friday, the 17th of July, was fixed for the trial of the prisoner, and at six o'clock in the morning the prisoner was conveyed from the jail, in a chaise, to a room in the shire hall; and about ten minutes before Lord Chief Baron Macdonald, the sheriffs and magistrates appeared on the bench she was conveyed into the bail dock in the Criminal Court, attended by three ladies and her apothecary. She was dressed in mourning, without powder; and after the first perturbations were over, occasioned by the concourse of surrounding spectators, she sat down on a chair prepared for her, and was tolerably composed, except at intervals, when she discovered violent agitations, as her mind became affected by various objects and circumstances. While the indictment was being read she paid marked attention to it and on the words, that on the right breast of the said G. Errington she did wilfully and feloniously inflict one mortal wound, etc., she exclaimed, "Oh, my great God!" and burst into a torrent of tears. The facts above stated having been proved in evidence, the prisoner's counsel proceeded to call witnesses in support of her defence, who all joined in stating that they had known her repeatedly to exhibit symptoms of insanity. This defence was not traversed by the counsel on the other side, and the jury, after a few minutes' consideration, returned a verdict of not guilty. The judges, on leaving the town, after the assizes were over, directed that Miss Broadric should be examined before two magistrates, that she might be safely removed, under their order, to the place of her settlement; with a particular recommendation annexed thereto that she might be taken all possible care of.